Hundreds of cool cars on the shore of Lake Guntersville. Held at Marshall County Park #1, just north of the main channel bridge on HWY 431. 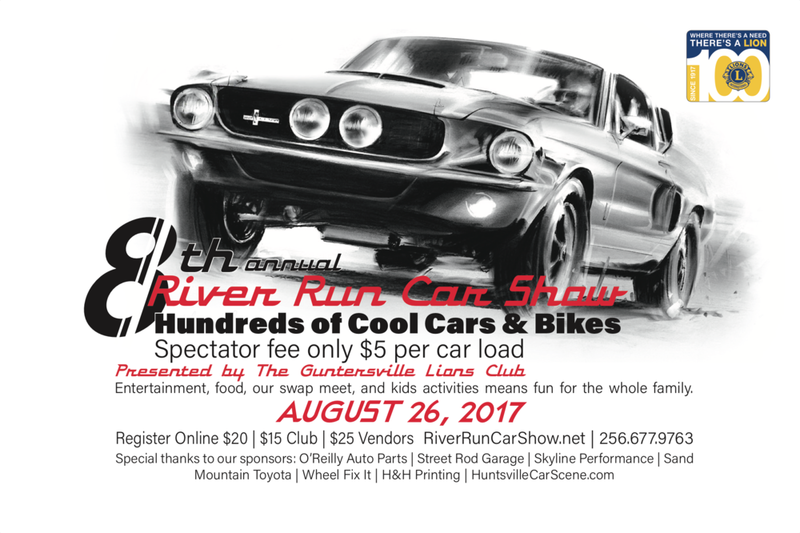 Hosted by the Guntersville Lion's Club.